Lori Hahnel's "Good Friday, at the Westward"
Before I know what’s happening we’re crammed in a cab, got a ticket for our destination, and the anxiety creeps back up again. This isn’t what we’d planned at all. We’d planned to take the mushrooms at Tess’ and my place, walk a few blocks to the Westward and see some bands. Now we’re on our way to the Bowness Hotel. It’s far away. And I’ve never been there before. Isn’t it scary, creepy, run-down, full of bikers and career drinkers? But the others seem calm, unworried. Of course, that’s not unusual for Will. Nothing ever ruffles him. He’s stubborn in his refusal to worry, or maybe that’s how he wants to come off. Sometimes I think he does it just to aggravate me. But. No point in being upset now. The Bowness Hotel it is. Big, wet snowflakes swirl out of a dull purple sky and I take a deep breath as we pull into the parking lot. Kate Brandt is forty-something, divorced and working part-time at the Mount Royal College library. A lifetime ago, she haunted Calgary’s punk rock scene, playing guitar in an all-girl band called Misclairol. The seedy downtown bars of the early 1980s where she performed are history. 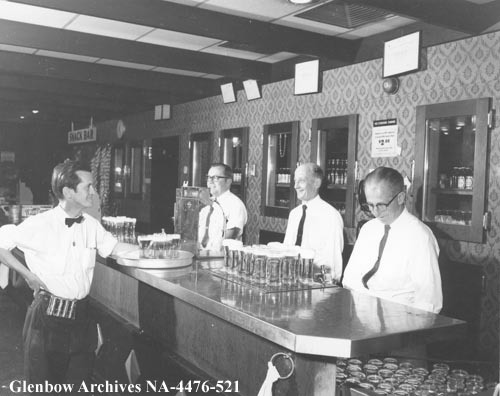 The National Hotel is shuttered; the Calgarian Hotel has burned down; and the Long Bar on Eighth Avenue is long gone. At a friend’s wedding, Kate reconnects with her old flame and fellow punk rocker, Niall. When they dance, she feels the familiar heat. They take their drinks outside the Hillhurst-Sunnyside community hall and catch up on the years. Niall, a lawyer's kid who grew up in the posh part of town, is still drifting. As the sun goes down, Kate tells him that, after a lifetime in Calgary, she’s decided to move on. I used to defend Calgary when people would put it down. But a few years ago, I don’t know if it’s the city or me or what, I realized I couldn’t stand it anymore… It’s all about the money. It’s about driving your SUV for an hour from your half-million dollar 5000-square foot house in the suburbs to pay $25 to park downtown every day. People are stressed, rushed, grim. The place is like Toronto but without the arts scene. So why would an old lefty punk rocker stay here?